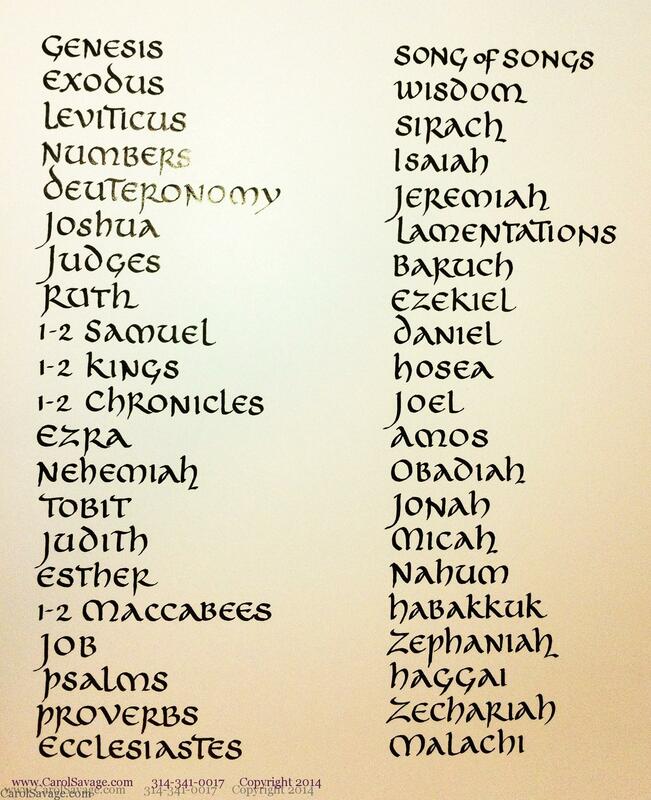 The books of the Holy Bible – Calligraphy for Life's Celebrations! 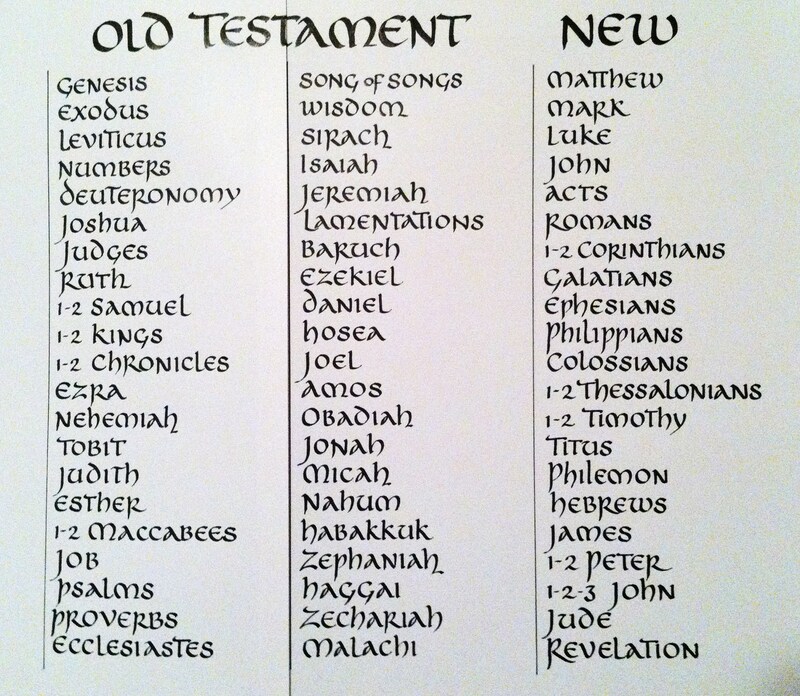 Because there have been a few corrections in the titles since I memorized the names of the books of the Catholic Bible in grade school. 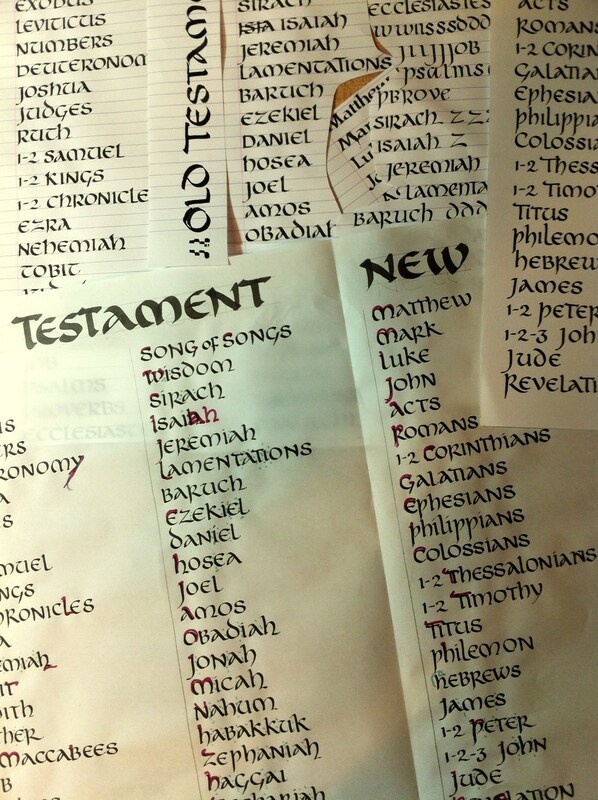 I decided to write the list and share it with members of Our Lady of the Lake Connect bible study. I began with a rough plan in uncial because it was used during medieval centuries before the printing press, and because I love twisting the pen to design letters. You can see that I proofed it with several thoughts: spelling corrections, decision to slightly enlarge the first letter since uncial does not have upper case letters, modifying individual letters for a more artistic design, and inspection to improve spacing for a consistent presentation. It’s off to the printer tomorrow for reduction into a bookmark size – probably 6 to an 8.5 x 11 inch sheet.